The CAMCI-Research application appears small / button text is cut off, and screens during runtime are too large. 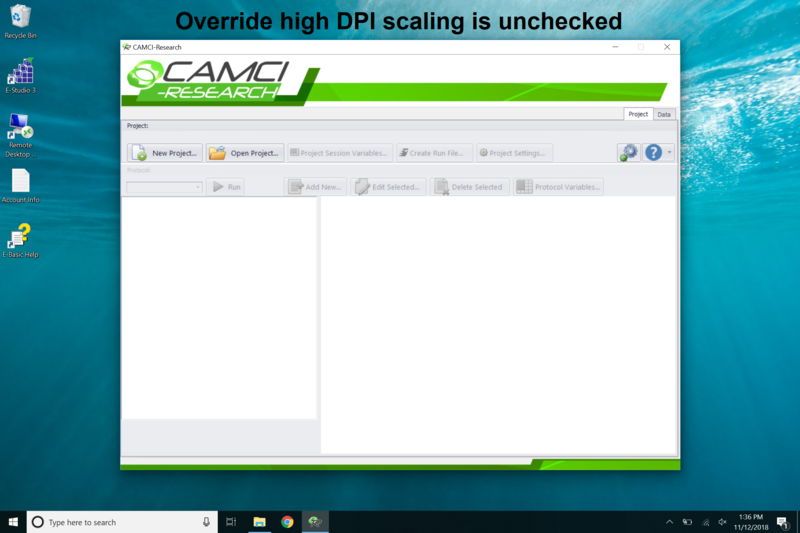 Checking the "Override high DPI scaling behavior" option in the CAMCI-Research application properties causes the application and the runtime to display incorrectly. NOTE: The application is considerably small on the high DPI desktop. Also, text on the buttons is cut off. This option becomes checked automatically if a test session is aborted incorrectly (e.g., Ctrl+Alt+Shift, Ctrl+Alt+Delete, etc.) or if a technical failure occurs. See INFO: Terminating a test session  for information on how to correctly abort a test session. 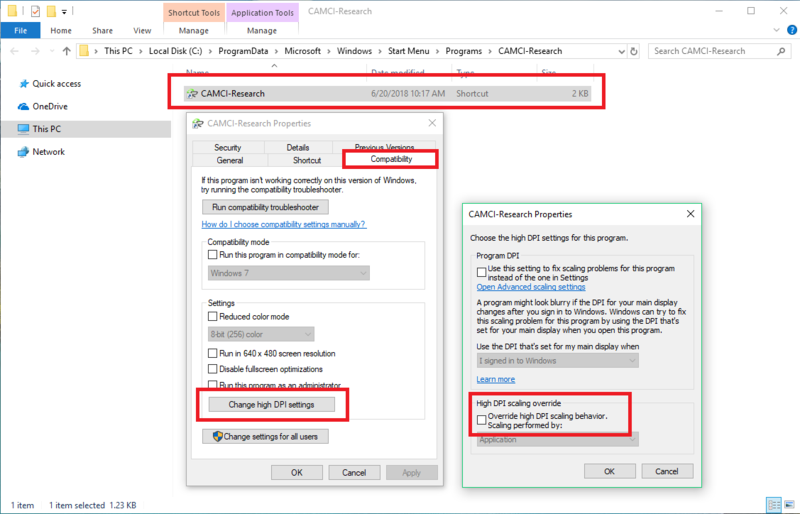 Navigate to the CAMCI-Research Start Menu listing in Windows File Explorer (i.e., This PC > Local Disc (typically the C: drive) > ProgramData > Microsoft >Windows > Start Menu > Programs > CAMCI-Research subfolder). Right-click on the CAMCI-Research application. Navigate to the "Compatibility" tab. Click the "Change high DPI settings" button. Uncheck the "Override high DPI scaling behavior" option. NOTE: Ensure that the CAMCI-Research application is closed before performing the above steps.